You are invited to our first event of the year, which is especially for all who supported Dewsbury Ambulance Charities throughout 2018. As you can appreciate it is getting harder to raise funds locally and your support has been very much appreciated. With this in mind and with the help of Ossett Central W.M.C. 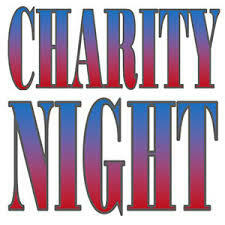 a Charity Night full of entertainment and laughter has been arranged to cheer up everyone over this long wet winter spell! The event is on Tuesday 19th March 2019 (7.30pm onwards) @ Ossett Central WMC, New Street, Ossett, WF5 8BH. Tickets available from David or Lynn. Over the years Ossett have put on a good evening for Dewsbury Ambulance Charities and we are sure this year will be just as entertaining.